Some of the more alarmist peak oil writers have put forth the idea that once we reach peak oil, the world's fiat currencies will experience hyperinflation and currency collapse. The general argument made by these authors, is that in the event of a rapid decline in world oil production, economies could suffer and governments may resort to printing money in order to prop up their economies (quantitative easing) or in order to purchase rapidly depleting resources. This money printing could quickly get out of control, leading to hyperinflation and currency collapse. Hyperinflation has happened a few dozen times before. The most commonly cited cases are in Weimar Germany, which ultimately led to the rise of Adolf Hitler, and the recent 2004-2009 hyperinflation in Zimbabwe, which led to the government printing 100 trillion dollar bills that were so useless that they couldn't even buy a bus ticket. Even in the United States, we experienced hyperinflation with the Continental Currency becoming so completely worthless through money printing that by 1778 the phrase "not worth a continental" entered our lexicon. Personally, I think the risk of peak-oil-induced hyperinflation is relatively low, due to the fact that markets will, for the most part, properly allocate capital into energy alternatives and energy efficiency technologies. Currently, the energy intensity (the amount of energy we use per unit of GDP created) of our world's economy is relatively low. As we move from high net-energy oil (conventional oil with a high EROEI) to lower net-energy oil (tar sands, coal-to-liquids, etc. ), the energy intensity of our economies will increase, but this will create an enormous financial incentive to increase our industrial energy efficiency and to develop renewable energy technologies. To put it another way, oil will become more expensive, but we'll find ways to make the same amount of money with less oil, while at the same time, using oil alternatives that will become more and more affordable. The change in world infrastructure may be massive and fraught with political and social pains, but inevitably, the world economy will continue chugging along as it always has. There is a saying, that "everything is relative". In the event of a currency collapse in one country, the currencies of other countries will gain relative strength. 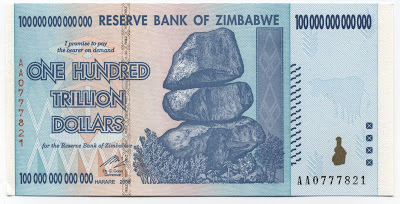 During the hyperinflation crisis in Zimbabwe, locals began using the US Dollar and South African Rand in lieu of Zimbabwean Dollars. Throughout history, some currencies have always been more stable than others. The Swiss Franc, for example, has held its value extremely well while currencies around the world have fluctuated wildly. Peak oil may cause the dollar to lose value if oil exporting countries lose faith in the dollar and begin to price oil in other currencies, such as Yen or Euros. The world may abandon the US Dollar as a reserve currency and instead begin to use a basket of currencies for international trade. In such a case, other currencies would gain on the dollar's loss. As the world passes the peak of oil production, oil prices may skyrocket, benefiting the currencies of exporting countries, like the Russian Ruble. If Saudi Arabia de-pegged its Riyal from the US Dollar, its value could skyrocket. Fiat currencies from commodity-rich economies, like Australian Dollars, Canadian Dollars, and Norwegian Krone may also benefit in such a scenario. Holding these currencies in a forex account or through currency ETFs may allow investors to benefit from changes in relative currency values, but using other countries currencies in day-to-day transactions is extremely difficult, as it may be impossible to get physical foreign currency during a crisis, and people may be unwilling to transact in currencies they are unfamiliar with. Commodity currencies, like gold and silver, our some of our oldest forms of currency and are even mentioned in the Bible, with Jesus referring to the Roman silver Denarius coins when he says "Render unto Caesar the things which are Caesar’s". Throughout history, the purchasing power of precious metals has been surprisingly stable. If you had an ounce of gold in 562 BC, during the time of the Babylon Empire, you would've been able to purchase about 350 loaves of bread. Today, the same ounce would buy you about 500 loaves. By comparison, a dollar would buy you twenty Hershey bars in 1954, but today it will only buy you one. Clearly, physical metals are superior to fiat currencies in holding their value. Unlike foreign currencies, people still have a general idea of how much a gold or silver coin is worth, due to the fact that so many people own gold and silver jewelry. In the case of gold, because it never corrodes, it will remain in completely pristine condition forever. It can be melted, combined and cast an infinite number of times, making it completely untraceable. Gold and silver are relatively scarce and will likely remain so well into the future, due to the energy required to extract them from the ground. Indeed, as peak oil makes energy more and more expensive, and as we move past all of the easily extractable gold, we could reach "peak gold" at some point in the future, and may have even reached it already. Because well-recognized physical metals require absolutely no infrastructure to trade, they can be exchanged in the absence of electricity or even in the absence of government. This advantage of gold was seen only a couple of years ago in Zimbabwe, when people began trading physical gold for food and other goods as the local currency collapsed. Physical gold and silver, in the form of bars or coins, isn't easily divisible and has a relatively high value per unit, making it difficult to use in small transactions. Instead of buying you a cup of coffee, for example, a silver coin might buy you twenty cups. Coins are also subject to counterfeiting and coin clipping. Verifying the authenticity of a coin may be extremely difficult and may require complex and expensive instruments. Physical metals are also easy to detect and confiscate and can't easily be moved across boarders. Finally, there is the problem with the physical security of precious metals. Because they are so valuable, the risk of theft is high, and people may have to spend significant money simply to keep their physical metals safe. Recent changes to the US tax code are also making it more difficult to transact in physical gold, as starting in 2012, all transactions valued over $600 (which includes most gold transactions) need to be reported on federal 1099 tax forms. With the recent government raid on Liberty Dollars, it's also becoming more and more uncertain if it is legal for US citizens to use gold and silver coins as a currency. Digital gold currencies have attempted to replace some of the shortcomings of physical gold by "digitizing" them. Essentially, a digital gold service holds physical gold in a vault and allows its users to exchange gold amongst themselves online. This solves the problem of divisibility, as digital gold can be divided into tiny fractions of an ounce. It also partially solves the problems of authentication and physical security, as all parties agree to trust a central authority to hold real gold. While digital gold currencies may make it easier for people to conduct gold-denominated transactions, the risks are numerous. The main drawback to digital gold currencies is that customers must put complete faith in the organization that holds the physical metals. Customers must believe that the organization both holds real gold and that the organization isn't some "fly by night" operation that will take their money and run. Electronic gold companies like "e-gold" have failed to reimburse customers after their accounts were hacked, and both e-gold and "e-bullion" have been shut down by the US government. Bitcoin is the world's first decentralized digital currency. Through the use of cryptography and a peer-to-peer distributed database, bitcoin allows people to exchange money online in an anonymous manner, similar to how we use cash today (think of it as an anonymous paypal that isn't controlled by anyone). Because the money supply is finite and can't be adjusted by any central authority, bitcoin eliminates most of the problems that are created by the central banks that we have today. Because the number of bitcoins are finite, any banks that would use them would be less likely to practice risky forms of fractional reserve banking. Unlike our banks today, if a "bitcoin bank" used the money multiplier effect to leverage up a $1,000 deposit into $10,000 in loans, it would then be at risk of a bank run. Since there's no central bank to eliminate systemic risk through a mechanism like our FDIC, banks would need to use money multipliers that are lower than are currently used in order to limit their risk of a bank run. A bitcoin bank could theoretically use a higher money multiplier and pay an insurance company to insure them against a bank run, but the result may be similar to what we saw when AIG, which insured against defaults of collateralized debt obligations by issuing credit default swaps, went bankrupt, causing a wave of bankruptcies that ended in the Great Recession. In practice, if someone started a "bitcoin bank" it would most likely be a "full reserve bank" that would only allow people to store their money at the bank for a "safekeeping fee" or invest it by allowing the bank to loan it out in return for interest. For deposit accounts, banks would need to compete against each other on the basis of which was the most solvent, rather than which can provide the most gimmicks like "free checking". By eliminating the central bank, bitcoins also eliminate the "too big to fail" moral hazard problem with banking, whereby if banks do well, bankers are paid large bonuses, and if they fail, they get bailed out by the government and bankers are still paid large bonuses. Such moral hazard, where there are no consequences for failure, cause bankers to take imprudent risks. With bitcoins, since there is no central bank to print money and bail out failed banks, bankers would have to take more measured financial risks by using less leverage, which would make booms and busts smaller and less painful. Without a central bank to control the money supply, inflation and deflation would be determined by the free market. While bitcoins make hyperinflation impossible, one of the arguments against currencies with a finite money supply, like bitcoin and commodity currencies like gold, is that without continual inflation, the currency could be susceptible to a deflationary spiral whereby people horde the currency as goods and services become cheaper and cheaper. Bitcoin has a built-in algorithm that causes near-term inflation that will gradually taper off into a finite amount of coins that are infinitely divisible. As bitcoins become a finite currency, critics argue that they'll experience a deflationary spiral. Arguments suggesting that currencies with a finite supply can cause a deflationary spiral are generally specious, as deflationary spirals aren't self-sustaining to infinity. As deflation hits an economy, savers will hold out until the correction is at a point where the benefit of spending their savings outweighs the benefits of holding their currency any longer. To put it another way, at some time during a deflationary spiral, there is an inflection point where the yield from investing the deflating money becomes higher than the yield from holding the money any longer. At this point, the correction ends, the economy stabilizes, and everyone continues on their merry way. Because humans have a time preference discount rate that favors consumption in the present over consumption in the future, there will always be a point at which people will want to stop hording a currency and start spending it. There is a good deal of academic research that shows that deflation doesn't cause recessions, and can, in the case of a gold-backed currency, even be good for the economy. Bitcoins eliminate the problem with currency debasement. Throughout history, governments that have used commodity-based currencies have debased their value by gradually lowering the quantity or quality of the underlying asset. In Roman times, the government debased the silver Denarius coins by reducing their size and lowering the fineness of the silver in them. Beginning in the 1100's, the British Pound was backed by a pound of sterling silver. In 1971, the pound was de-linked from silver and free-floated against other currencies. The British pound that would buy you a full pound of sterling silver in the 1100's will buy you only 0.003 pounds of sterling silver today. Rather than debasing the currency by physically altering the metal, the government debased the currency by simply changing the law. Because bitcoins float freely against all of the world's currencies and because no government law can alter their supply, it is impossible for a government to debase the currency. Bitcoins could theoretically eliminate a government's ability to hamper free enterprise by confiscating hard money and enacting price controls and rationing measures. In 1933, Franklin Delano Roosevelt ordered the confiscation of all privately-held gold through Executive Order 6102. Since bitcoins are virtual and decentralized, it is impossible for any government authority to confiscate them or freeze people's assets. In the Soviet Union, for example, the government enacted price controls and rationing schemes during periods of goods shortages. These efforts merely distorted the markets and encouraged underground economies to spring up. The ultimate solution to shortages is the free market, because by determining resource allocations based on the proper price of goods, it sends price signals to the market, thereby encouraging investment in production of whatever is in short supply, and helping to bring the market back to equilibrium. With government interference, these price signals are warped and resources may be easily misallocated. If the economy used bitcoins, there would be no way for the government to restrict the underground economy, making price controls and rationing difficult or impossible to enforce. If a government used bitcoins, rather than its own fiat currency, it would have to operate the way governments did under the gold standard. Instead of printing money to pay for budget deficits, it would have to balance its budget or issue bonds. If the government issued bonds, they would need to have an interest rate that compensated people for the risk of default. Under the previous gold standard, the US government defaulted on gold-backed liberty bonds in the 1930's, leading to difficulties in selling further bonds. The "inflation tax" that we all pay, but rarely notice, would be replaced by traditional taxes. Without the inflation tax, there would be far more transparency in the way that we fund our government, and people would be less likely to allow the government to fund "pork barrel" projects or subsidies that benefit only a select few at the expense of the many. People would be less likely to allow the government to fund wars without a clear idea of how the vast expense of wealth and human life would benefit the citizens back home. The use of bitcoins by a government could also eliminate the iron triangle problem, as banks wouldn't be able to lobby a central bank to enact a loose monetary policy that would increase their profits and allow them to fund even more lobbying for even looser monetary policy. This system would also eliminate the problem of political influence over central bank money printing. For example, the incumbent political party wouldn't be able to create the appearance of a robust economy right before an election by pushing the central bank to enact loose monetary policy. Politicians would have to get elected based on how their policies created actual economic prosperity, rather than perceived prosperity. Governments could theoretically attempt to restrict bitcoins by declaring them illegal and prosecuting individual users, but because of the anonymity and decentralized nature of the currency, the government would have to expend enormous resources to find and prosecute people. Short of catching someone in a sting operation, the anonymity of bitcoins, especially if they're run through an open wifi using nested VPNs and an anonymous protocol such as tor, could provide enough plausible deniability to make it impossible to prove guilt beyond a reasonable doubt in a court of law. Since bitcoin is completely decentralized, the only way to shut down bitcoin would be to take down the entire internet. As a result of the governments in Egypt, Libya, Tunisia and Bahrain shutting down their internet connectivity during the recent "Arab Spring" revolts, many smart technologists are looking into ways to make the internet more difficult for a single party to shut down. Distributed infrastructure like the IEEE 802.11s standard for wireless mesh networking, is already being widely adopted throughout the developing world through the One Laptop Per Child program, which supports the standard. These 2 million laptops can create a wireless mesh network where internet traffic can "hop" from laptop-to-laptop until it reaches one that is connected to the internet. In the case of the Egyptian internet shutdown, journalists used satellite phones to connect to the internet and many people used old dialup modems to call international ISPs over land-lines to get back on to the internet. The biggest current flaw to the resilience of the internet is the centralized nature of our domain name system. As we saw recently with the US government's crackdown on internet poker sites, rather than shutting down the companies' servers, the government simply redirected their domain names. Bitcoin has created a solution to this problem of internet centralization through the peer-to-peer domain name system called "namecoin" (to visit this blog over namecoin, simply use a namecoin-supporting DNS and go to http://will.bit/). These domains, which end in ".bit", are completely decentralized and can't be shut down by any government authority. There are other similar P2P DNS projects in the works, such as dot-p2p and MondoNet, but currently only namecoin is operational. In theory, the combination of bitcoin and namecoin would allow an organization like Wikileaks to receive payments from supporters and operate a website which couldn't be shut down by any government. The implications of these combined technologies on government transparency are enormous. Clearly, bitcoin is a game-changer. It has all of the advantages of traditional "hard money" like gold, all of the advantages of a digital currency and all of the advantages of cash. 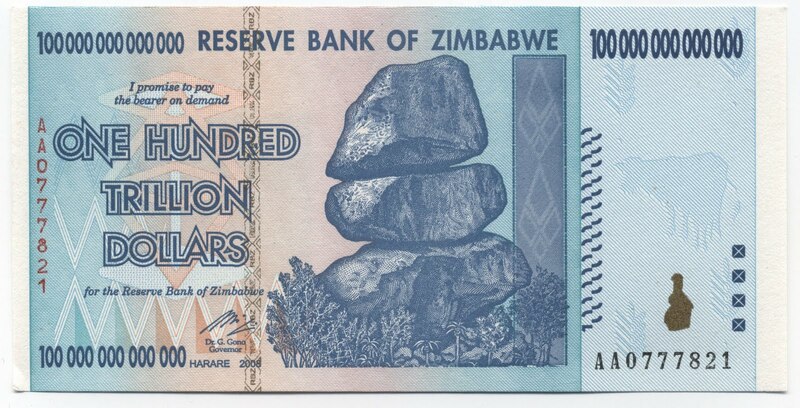 When compared to fiat currencies, its drawbacks are few, if any. It is a relatively rare occurrence when a new currency comes on to the scene and solves so many problems at once, which is why I and some of my friends here at Cornell are justifiably excited about this new currency. Most of the hypothetical scenarios I previously laid out are simply designed to give a sense for how beneficial the widespread adoption of bitcoins could be. At the very least, it is a superior alternative to the world's fiat currencies for online transactions, and it could be used in the event of hyperinflation or currency collapse. Finally, I want to discuss local currencies as an alternative for central-government fiat currencies. Local currencies allow people to barter their goods and services within their own communities without the use of national fiat currencies like the US Dollar. There are many examples of local currencies, from Detroit Cheers in Detroit, Michigan to BerkShares in the Berkshires region of Massachusetts. Many cities have set up Local Exchange Trading Systems that allow people to trade their local currencies online. Ithaca Hours, our local currency, is the oldest and largest community currency in America. Each Ithaca Hour is valued at 10 US Dollars or 1 hour of labor and can be exchanged only within Ithaca, New York. The benefits of Ithaca Hours are numerous. They keep wealth circulating within, rather than leaving the community, they encourage people to purchase locally produced goods and services and they provide community entrepreneurs with opportunities to generate wealth. Dozens of other community currencies have sprung up since the creation of Ithaca Hours, and many have followed the Ithaca Hours model. Currently over 500 local businesses accept Ithaca Hours, from our local grocery co-op to our local credit union. Around the world, the Transition Towns Movement, which is bringing people together to prepare their communities for the dual challenges of climate change and peak oil, actively encourages local currencies. I've recently spearheaded the "Ithaca Hours Revitalization Initiative" here in Ithaca to increase the awareness and adoption of the currency around town. This year is the currency's 20th anniversary and over the next year I and my team will be working with the Ithaca Hours organization to make it easier for Ithacans to use Ithaca Hours. We're currently exploring the idea of digitizing the currency, and we're hoping to incorporate some of the ideas from bitcoin into America's oldest and largest local currency. Once again, no matter how fascinating I find this topic to be, I personally believe that the chance that peak oil will lead to hyperinflation or a currency collapse is quite low. Rather, I believe that markets will act accordingly to allocate capital into the extraction of ever more scarce resources until these sources of energy become more expensive than their sustainable alternatives. The transition to these sustainable energy sources, however, may not be entirely smooth, and it therefore may be prudent for investors to consider moving some portion of their wealth into dollar alternatives.